Virtual Wallet Services -- the end of Japan's cash era? Read more about Liquid Gold: Is LNG the Next Oil? New freezing technology making the traditionally unfreezable, delectable. 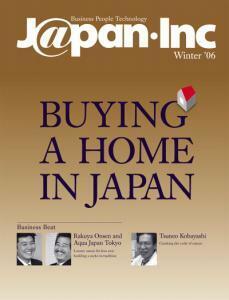 The Big Issue Japan takes on the bigger issue of Japanese homelessness. Read more about Does Your Office Work for You? Melding East and West: a forerunner of cancer treatment and prevention.